AFTER years of talking up Rockhampton's potential, Councillor Neil Fisher can finally see the jigsaw puzzle pieces falling into place. This week's confirmation from the Prime Minister of $800 million in funding for the Ring Road, combined with a similar Labor Party commitment, takes the $1 billion project the closest it's ever been to reality. With both Labor and Liberal backing the Ring Road federally, it now just relies on the State Government to commit the final $200 million. 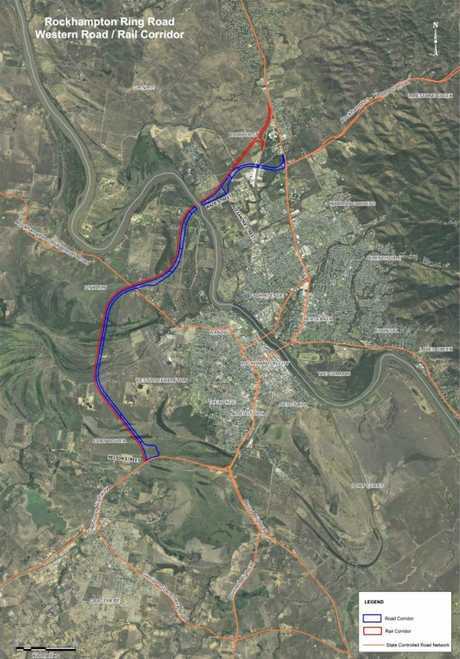 The Ring Road would create a western bypass flowing back into Rockhampton at the Capricorn Highway, Ridgelands Rd, Alexandra St and Yaamba Rd. The 22km project would also include a third road bridge crossing the Fitzroy River. Cr Fisher, chair of Rockhampton Regional Council's airport, water and waste committee, has long pushed the Ring Road as the glue to hold so many good Central Queensland projects together. Rookwood Weir is set to foster high-yielding crops and more agriculture opportunities, but Cr Fisher believes its real value lies in boosting the airport's status as an export hub. That's something which wouldn't reach its full potential without the Ring Road linking to the airport. "It's seeing a vision and the pieces all starting to come together," Cr Fisher said. "Rookwood is a catalyst that's just going to open up so many opportunities." Similarly, the airport's capacity to become a freight hub can also be realised with the Ring Road. Cr Fisher described that development as "the natural progression". 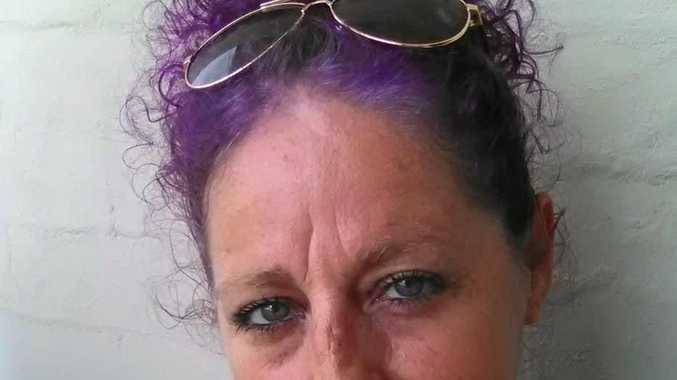 He said the Ring Road would also boost Rockhampton's chances of increased defence storage capacity by allowing heavy military equipment to be moved around the outskirts of the city and up to Shoalwater Bay. 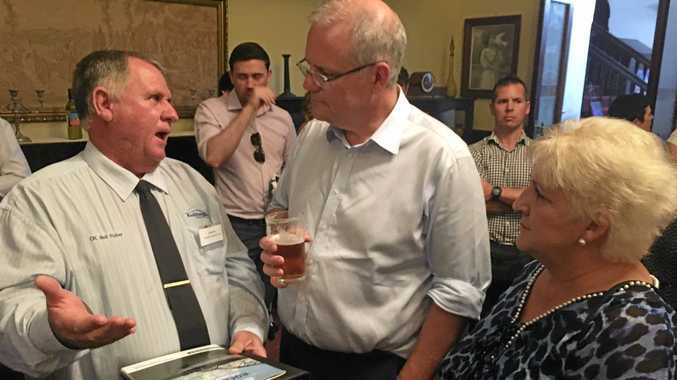 The road will eliminate up to 18 sets of traffic lights, making flying cargo for military exercises or mining to Rockhampton and then transporting via road a much more attractive prospect than it is currently. The linkages planned along the route already connect the Gracemere, Glenmore and Parkhurst industrial areas and will greatly reduce the number of heavy trucks driving through residential streets and school zones. But selling the road hasn't been easy. "We've had to really sell ourselves and why we feel passionate about growing Rockhampton to various levels of government," Cr Fisher said. "We're pretty rapt to get it to this stage." Ultimately, Cr Fisher said, the State and Federal governments should see this funding as an investment in the region, which would no doubt be repaid through economic prosperity in time.